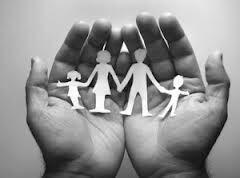 A parenting plan is an agreement between parents on how they will raise their children after they have separated. Describe how they will handle disagreements that arise. Communicate with each other about the children. At DSS we make sure to include every piece of a solid parenting plan to give you a plan you can be happy and comfortable with. The parenting plan specifies who makes the major decisions affecting your child. It gives parents clear authority for making big decisions about education, health, and religion, and states whether parents will be making decisions together or one parent will have more authority for making certain kinds of decisions and participate in future decision-making. Child’s relationships with siblings, grandparents, teachers, friends, etc. At DSS, we also make sure to discuss and create a dispute resolution process to follow (and include in the parenting plan) if they disagree on how to handle a particular issue. Options include counseling, mediation, arbitration and court. These were all discussed in the creation of your specific parenting plan. We also will specify how you will go about changing the plans as children’s needs or adults’ circumstances change.